The largest 5K in Bradford County and a family-friendly holiday celebration like no other! 9:30 AM – Kids’ Fun Run (ages 10 and younger) FREE! Announcing the 3rd Annual Guthrie Race Series for 2018! 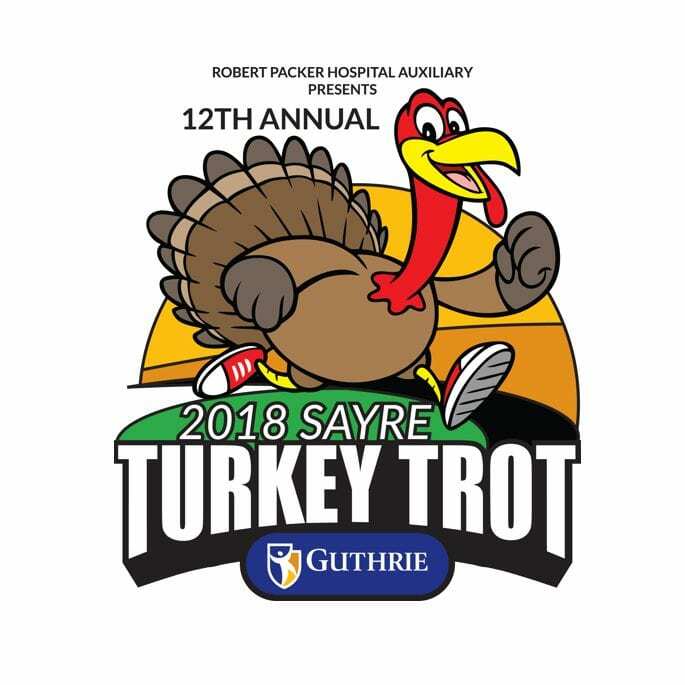 An exclusive Race Series gift will be given to participants at the Sayre Turkey Trot 2018 who register for and complete a race distance in both the 34th annual Guthrie Gallop 5K/10K: May 12, 2018 and the 12th Annual Sayre Turkey Trot: November 22, 2018. The race gift must be picked up at the Sayre Turkey Trot on Thanksgiving morning.